A little while back, I was essentially called a liar in the comments for this post. I have lost sleep over this accusation, and have finally decided to come clean. Fine, fine, I did tidy up before the photo shoot last time. Today, I show you my true colors. 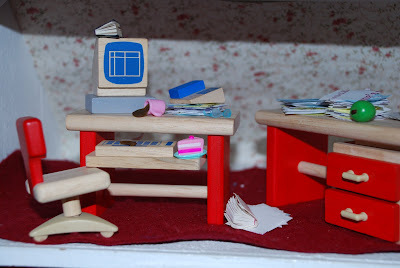 This is what my desk really looks like on an average day. Of course, when you work from home no pants are required! Hey, wait! Who spilled the coffee? Someone get that woman a towel!